In other words, nothing what so ever like an Uzi. And, he was actually white, not Middle Eastern and not Hispanic. #ThousandOaks Shooter: David Ian Long, 29, local to Thousand Oaks area. Way too much info and too fast with some details. Did he have a handler? What are the odds that some of the patrons in that bar were also in Vegas during the other mass shooting? WGN snooze mentioned that this morning and that throws the red flags up for me. Yet another "false flag" I wonder. He was heavily tattooed, a vet suffering from PTSD. Between description, military experience and mental/medical problems, fingerprints and blood type, I expect that he was quickly identified. Some info came out from neighbors being interviewed by reporters. That was my first thought as well. There are no coincidences! I haven't read any of this thread yet so I will relay what commentators all night long have been saying on KFI which is located down in the LA area. They said that a guy with a beard and dressed in dark clothing entered the bar. Threw a smoke bomb and started firing an "uzi" type gun. Stopped for a couple of seconds and started firing again. He hit a cop several times. A CHP officer who was standing outside making the perimeter safe, went inside and pulled the officer out. Officer was hit multiple times and died at the hospital. The officer was 1 year away from retiring from the force. They don't know the motive, or who the gunman is, but the gunman is dead. They don't know if it's a terrorist attack. The bar is frequented by college students mostly. All that I heard....Glad the gunman is dead. They don't know if he killed himself of the cop who got shot killed him. I saw part of the interview with the kid that said that. I suppose he could have been lying. Las Vegas was a multi-day country and western concert. I personally know some people who went, but they had left the morning of the shooting, so weren't there when it happened. Last nights shooting was at a country and western bar/grill that was also a college hangout. Las Vegas is not very far from there (just a few hours drive) so I don't think it too inconceivable at all. I can't get a copy of it right now because I'm on my phone, but apparently over on 4chan somewhere they've found a selfie of the guy, and he's a Muslim convert, complete with head doily and chinstrap beard. Anyone got the tools to go find that and repost a copy here? Don't direct link it, download it and reupload to an image hosting website. Yes. I absolutely appreciate your Twitter mining abilities. I just wish people were in less of a hurry to tweet, and did a little better to vet the info they put out there. Then I start wondering if it's deliberate mis-info. I went to 4 chan and found nothing. Did a search of his name and no pics of him came up. DH said he has a long history with cops and that knew him. Suffered from PTSD and lived with his mother. Gun was a Glock. Maybe he was pissed that the Democrats rule this State. See, anyone can say anything true or not. 11-11 coming up, veterans been getting a lot of positive attention lately, if the shooter was a vet he was likely getting med care with the VA to include any psych complaints. It was all coming from live interviews from scared and traumatized college kid witnesses. Multiple people "witnessing" the same event will never see the exact same thing. I get more suspicious of things if they all tell the exact same details. Proves you don't need a rifle, to cause a lot of damage. If you had concealed carry people inside, they may have been able to get him or pin him down. Prayers for everyone involved. Yes, thats the clean cut marine image the media is using. I did find one recent one with beard and Muslim type hair/dress but could not verify it was him (a Facebook post) so didnt copy it - its gone now. We need to keep looking. Post #95 said 6 off-duty leos inside? Without knowing the layout and particulars, where on Earth would 6 leos go unarmed? There are conversion kits for Glocks which turn them into "carbines" that could resemble an Uzi. Even a normal Glock with a 30 round magazine could look similar to a mini Uzi. I watched a briefing on NBC TV this morning where a Deputy said the shooter used a "modified Glock". People always make the mistake of believing all the initial reports and then complaining when they change. The media gets in such a rush to report something that they will state things which haven't been confirmed, and people on the internet turn it into some big "conspiracy" when it's really only confusion brought on by stupidity. That's compounded by using Tweets which very often turn out to be opinion rather than fact. Police revealed they previously had multiple contacts with Long in the past several years for minor offenses. Long was cleared after an interview with the Crisis Intervention Team and mental health specialists. A former Marine -- armed with a Glock .45-caliber handgun with an illegal extended magazine -- opened fire on a packed California country music bar Wednesday night, killing 12 people, including a veteran sheriff's sergeant nearing retirement, officials said. 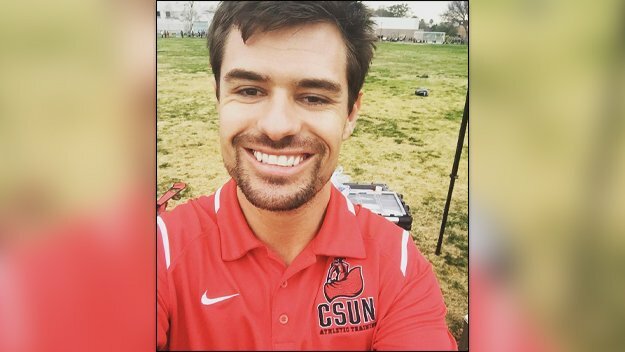 Authorities believe Ian David Long eventually turned the gun on himself, but not before the 28-year-old, dressed in all black, terrorized a crowd filled with college students at Borderline Bar & Grill in Thousand Oaks, Calif. His body was found in an office adjacent to the entrance of the bar. Sheriff Geoff Dean, who is set to retire on Friday, said Long may have suffered from Post-Traumatic Stress Disorder and was known to law enforcement officials due to several unspecified contacts stretching back multiple years. “We’ve had several contacts with Mr. Long over the years, minor events such as a traffic collision. He was a victim of a battery in a bar in 2015,” Dean said, adding that the bar wasn't the same establishment he had opened fire Wednesday night. Dean said the last interaction between Long and authorities occurred in April, when police officers were called to Long's house after reports of a disturbance. When they arrived, officers found Long "irate and acting irrationally," leading to a crisis intervention team being summoned. The team, however, cleared Long and said they didn't feel he was qualified to be taken into custody. “Obviously he had something going on in his head that would cause him to do something like this. Obviously he had some sort of issue,” Dean said of Long. Long opened fire inside Borderline about 11:20 p.m., during the bar's "college country night" event, authorities said. Dean said it appears Long shot the unarmed security guard first, turned to the right to shoot other security and staff members before opening fire on the rest of the patrons. No one at the venue was armed with a gun. About 150 to 200 people, including students from California Lutheran University, private Christian school Pepperdine University and California State University Channel Islands, were inside Borderline when witnesses said Long tossed a smoke device into the crowd and then, amid the confusion, fired at least 30 shots. Deputies and highway patrolmen arrived at the bar within minutes of receiving multiple 911 calls and began assessing the grim, gruesome situation, Sheriff Geoff Dean said during an earlier Thursday news conference. “It is a horrific scene in there. There is blood everywhere,” Dean said. He later described it as "hell." Witnesses inside the bar -- which bills itself as "Ventura County's largest country dance hall and live music venue" -- told reporters how some patrons used chairs to break windows in a bid to escape the chaos while others scrambled between shots to hide in the establishment's attic. Dean said people also hid in the attic, bathroom and under tables to escape the hail of bullets. One other person suffered a "minor gunshot" wound, while 15 to 20 people were injured by jumping through windows and diving under tables, according to the sheriff. Vice President Mike Pence also tweeted: "@POTUS & I have been briefed on the attack in Thousand Oaks, CA. Our hearts are with the victims, survivors, & their families. A heroic sheriff’s sergeant was killed. We commend the action of all first responders…Please pray for comfort & healing for their families & all impacted. @POTUS directed the full resources of the federal government to support the investigation." California Gov. Jerry Brown called the shooting a "heinous act." Caller to KSFO noted an issue with his own son's PTSD diagnosis after coming back from tours in Afghanistan. The son was just put on meds and he had several psychotic breaks. Further examination found it wasn't so much PTSD as traumatic brain injuries. Took him off the meds and now he's fine. Extremely high actually. The demographics fit. College night and country music were the theme at the bar.
.@USMC releases military service details on #CaliforniaBarShooting and statement below. "The Marine Corps extends its deepest condolences to the families of the victims in this senseless tragedy." I don't think most competitors would consider six seconds to be "really fast" but in such situations time seems to slow down. PTSD is a real problem, and most people who suffer from it are not getting much help. Agreed and a 6 second mag change is an eternity for those with good technique and some practice.